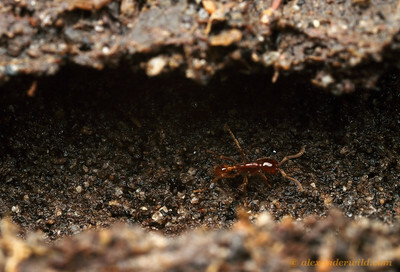 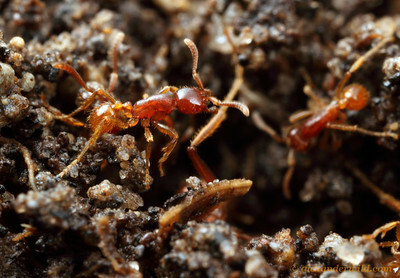 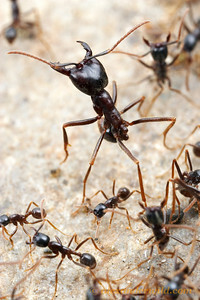 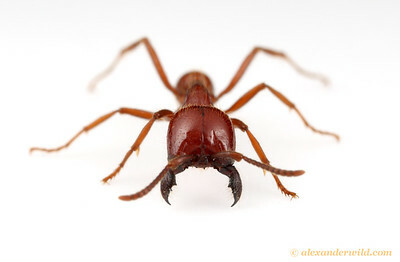 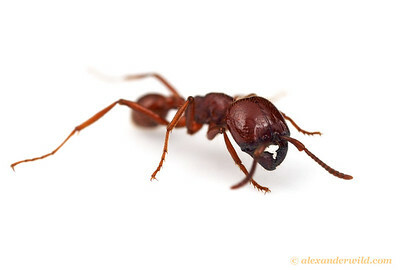 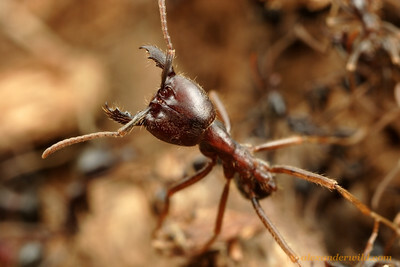 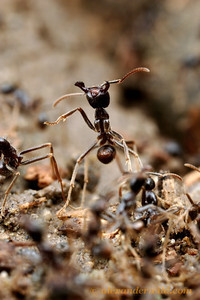 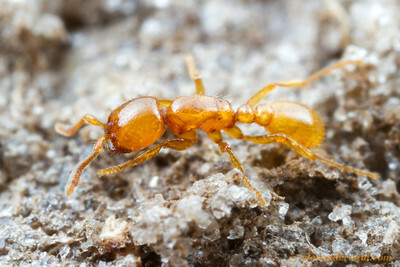 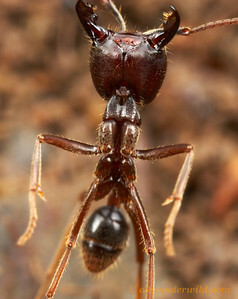 is among the more commonly seen army ants in the new world tropics and subtropics. 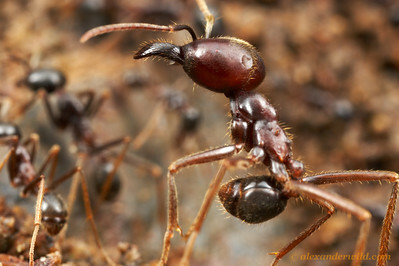 The genus contains several species, but only two are encountered in frequency. 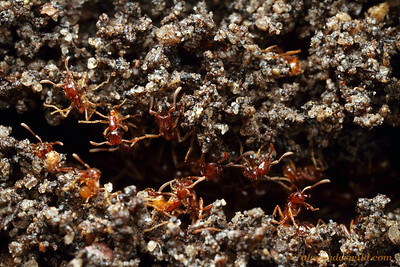 Labidus coecus tends to be more subterranean and lighter in color, while the darker, more slender Labidus praedator holds massive swarm raids both above and below ground.